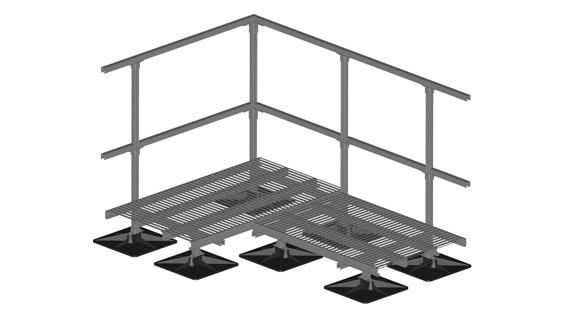 To enhance safety and flow of rooftop traffic, PHP designs and engineers custom walkways, crossovers, stairs, and ramps. 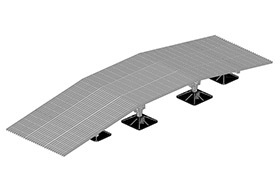 All walkway systems are installed directly on the roof without penetrating the roof surface. 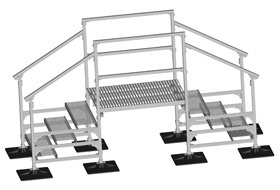 Our systems allow technicians and service professionals to gain safe and convenient access to varying roof levels and equipment otherwise encumbered by rooftop pipes, ducts, and other types of rooftop components. 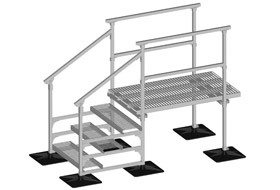 All PHP walkways, crossovers, stairs, and ramps carry our 5 year warranty and if a problem were to arise with these products we will provide a replacement.